Kaizer Chiefs have inquired about the availability of Zimbabwean striker Tendai Ndoro. Ndoro was released by Ajax Cape Town last month and is currently a free agent. According to Isolezwe, Chiefs have contact the player’s representative over a possible transfer. “Chiefs have called Tendai Ndoro’s manager (Dumezweni Nkiwani) asking about his availability,” a source told Isolezwe. “It looks like they want to sign him, but negotiations are yet to take place. 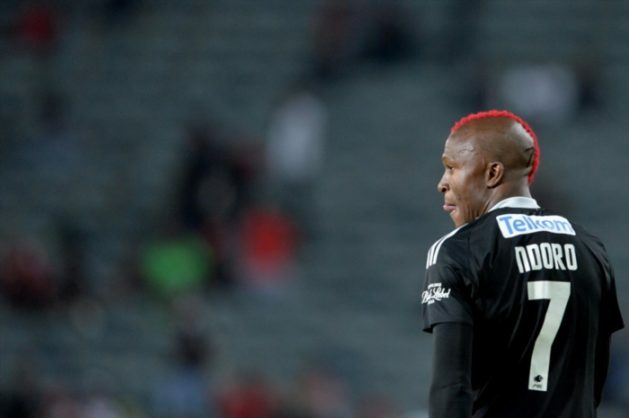 Ndoro’s manager is waiting for Chiefs to come back to them with an offer,” added the source. According to the source close to Isolezwe, Bidvest Wits are also interested in Ndoro. “The problem with Wits is that they already have five foreign players, but clubs usually come up with plans if they want a certain player and anything can happen now,” continued the source.